Major offshore development in the Gulf of Mexico in the Mississippi Canyon area. Jointly owned by Shell and BP. 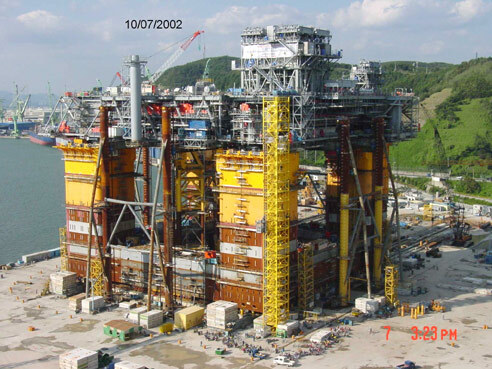 Built by Hyundai in Korea, Nakika is Shell's first semi-submersible host in deep water and its deepest permanently moored semi-submersible development and production system. First "electrically-heated" ready flow lines and risers. Galvotec® Anodes are manufactured by Galvotec Alloys, Inc. Galvotec®, SUPERMAG®, and GA® are registered trademarks of Galvotec Alloys, Inc., for sacrificial anodes. The GA logo which appears on anodes produced by Galvotec Alloys, Inc. and on packaging, in web pages, catalogs, and advertising material, SuperLINE™, and SuperROD™ are trademarks of Galvotec Alloys, Inc., for sacrificial anodes. © 2016 Galvotec Alloys, Inc. All rights reserved.